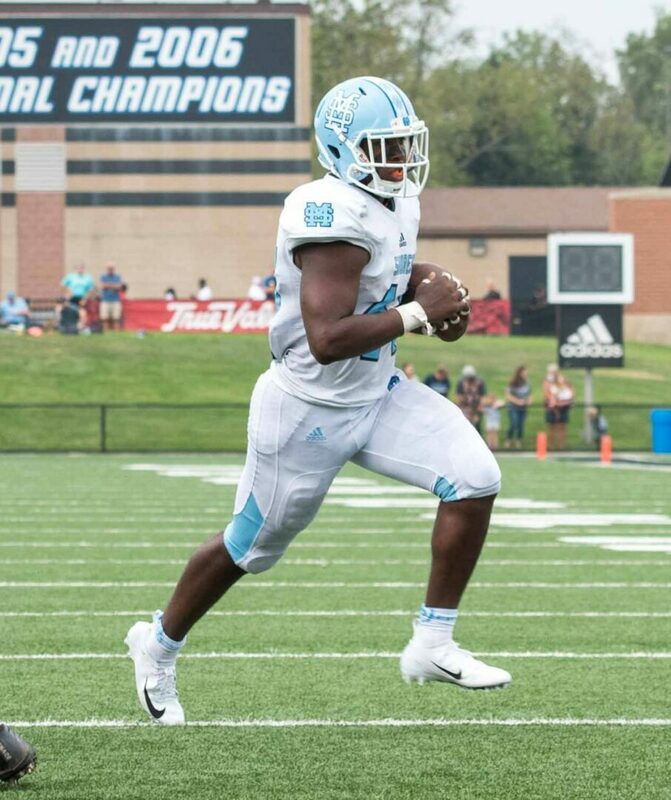 That’s because the Sailors’ go-to running back is named Sincere Dent, and on Saturday he showed he’s ready to star by propelling Mona Shores past East Kentwood 48-38 at Lubbers Stadium on the Grand Valley State University campus. The Sailors fell behind early, responded by building a big lead, then held on down the stretch against an East Kentwood comeback. 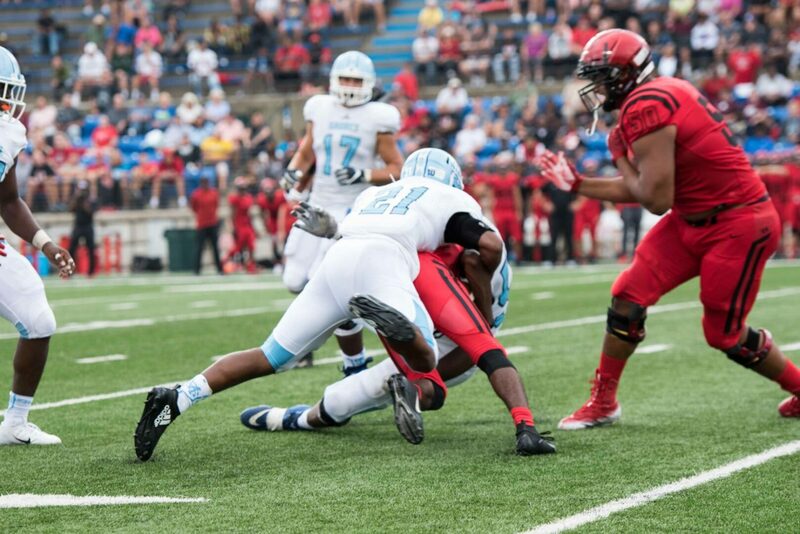 Dent piled up 221 rushing yards and five touchdowns on 30 carries while running over and through numerous tackle attempts. 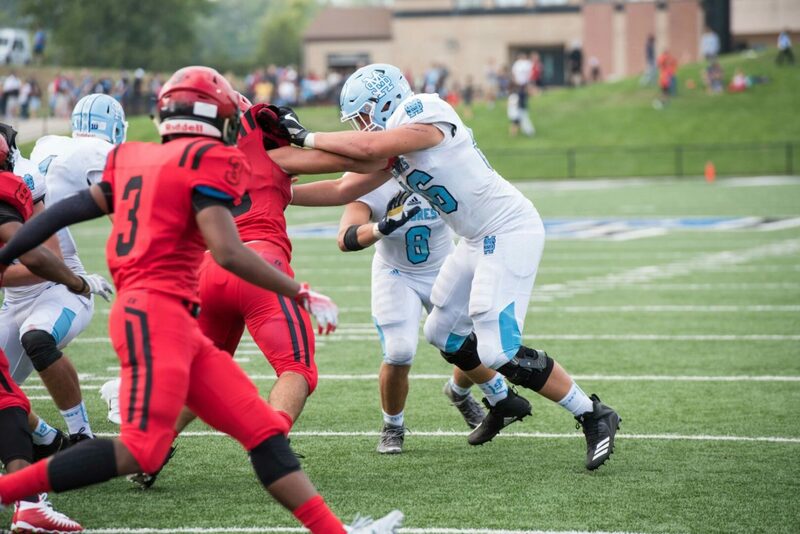 After Jayden Jones of East Kentwood took the opening kickoff 81-yards for a touchdown, Dent scored his first touchdown of the game on a seven-yard run, making the score 7-7 with 8:49 left in the first quarter. Dent capped off his first half with touchdown runs of one yard and four yards, giving the Sailors a 21-13 halftime lead. 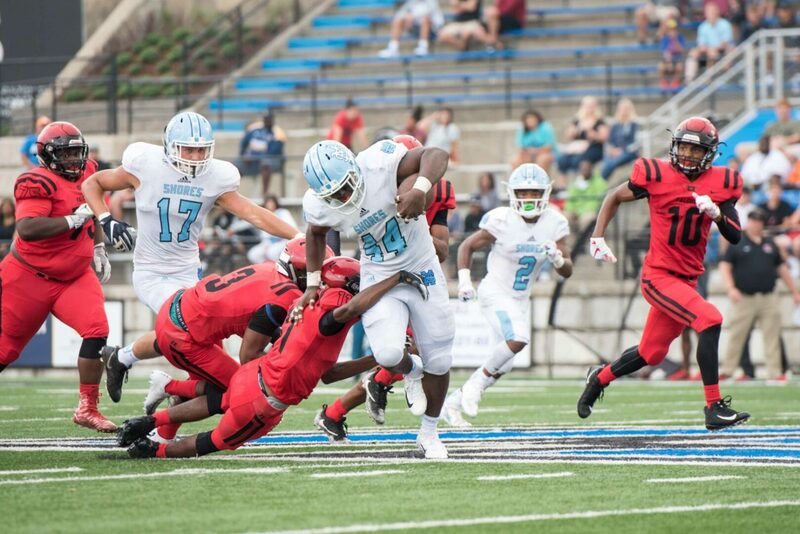 In the first half alone, Dent totaled 115 yards and three scores on 14 carries. 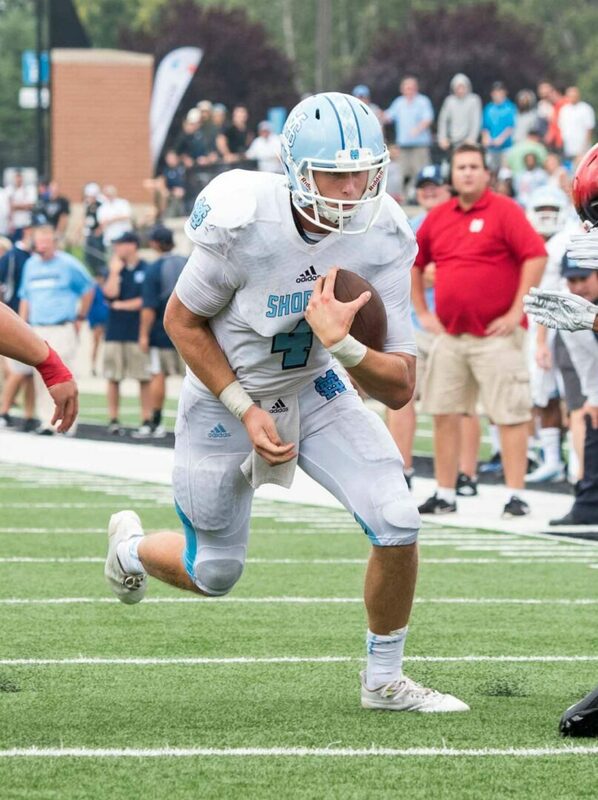 In the second half, Mona Shores started the scoring with a 75-yard touchdown pass from quarterback Caden Broersma to James Gilbert, making the score 28-13. 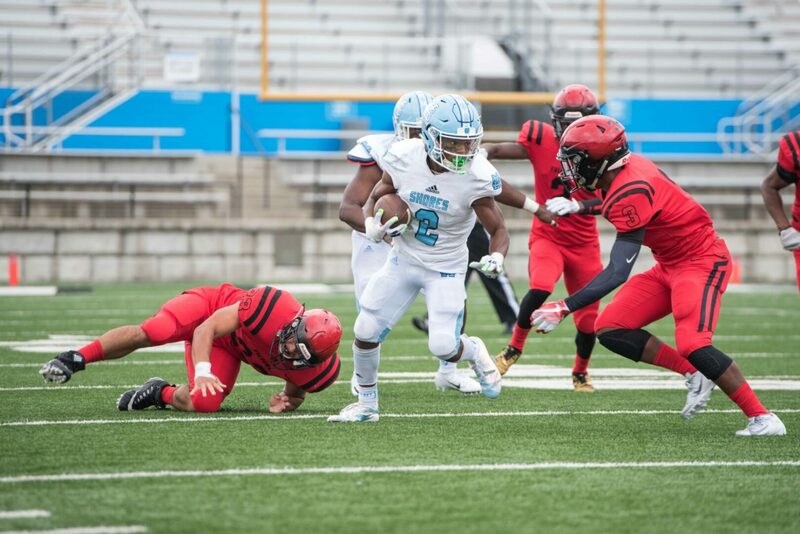 After Dent added touchdowns from 11 yards and two yards out, Tre’shawn Hatcher broke loose for a 38-yard rushing touchdown of his own, making the score 48-19 in favor of Mona Shores with 8:45 left in the fourth quarter. 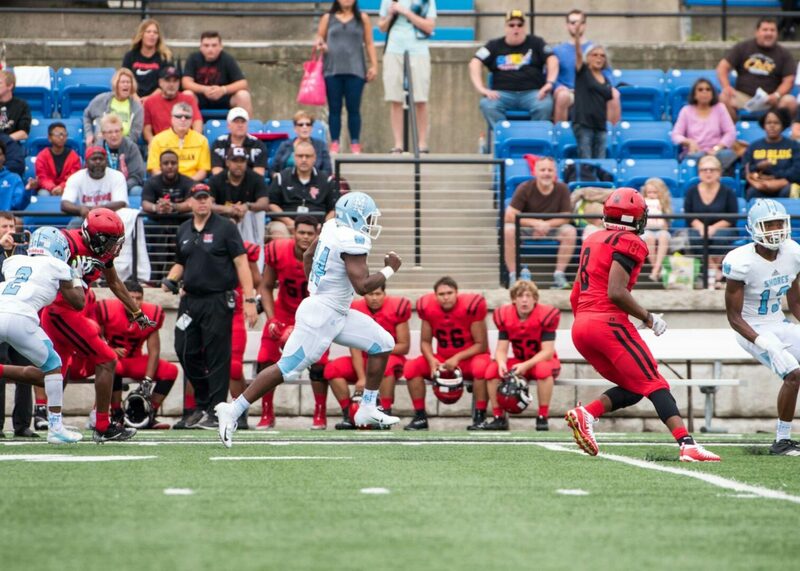 But then East Kentwood backup quarterback Maurice Williams got hot. 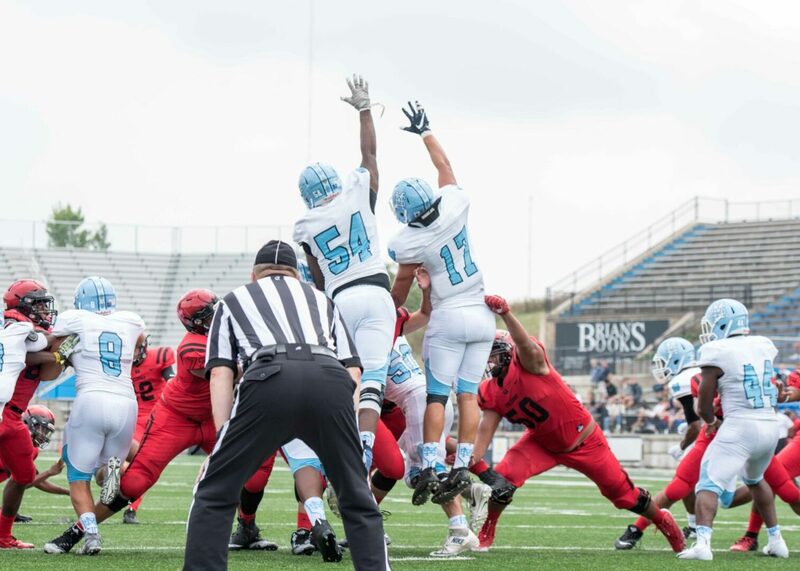 Williams threw two touchdowns from 25 yards out over the last six minutes, while Stephan Bracey punched in a five-yard rushing touchdown, to make the score a respectable 48-38. 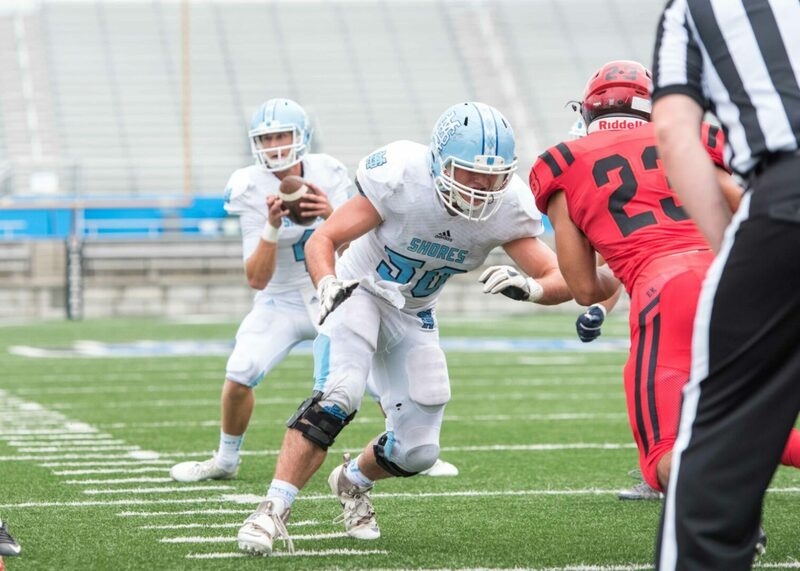 The Mona Shores defense had two interceptions and one fumble recovery on the day. Ke’Sean Sandifer and Da’Varius Carter each had an interception while Hatcher had the fumble recovery. 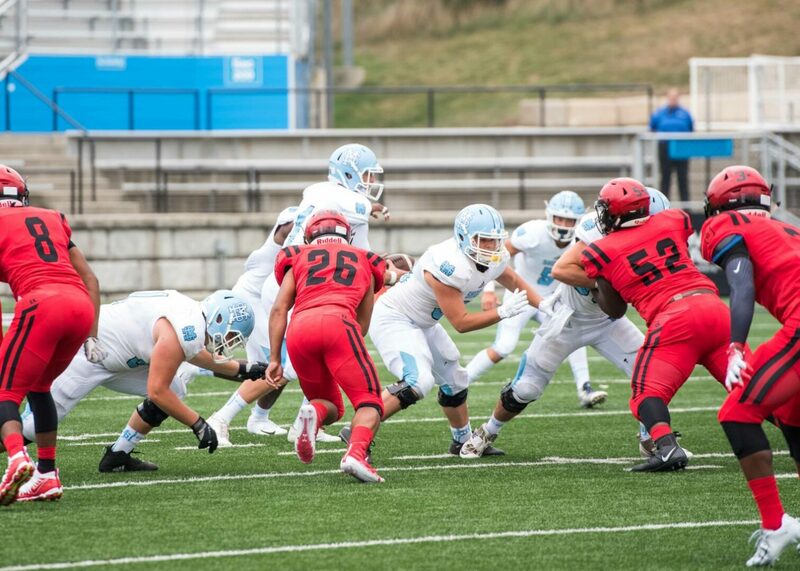 Broersma finished with 214 yards passing and one touchdown on 7 of 9 passing while Gilbert had 159 yards receiving and one touchdown on five receptions. Mona Shores will quickly turn around and host Bay City Central on Thursday night.